Only 1d 20h 43m 43s left! This is the first of a series of articles/interviews with people who work behind the scenes at Renderosity. These often unsung heroes work hard to make sure Renderosity not only looks great, but runs efficiently. 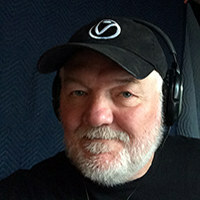 Each month we will feature the "Faces of Renderosity" and introduce you to some amazing people who try to make your experience at Renderosity.com the very best it can be. 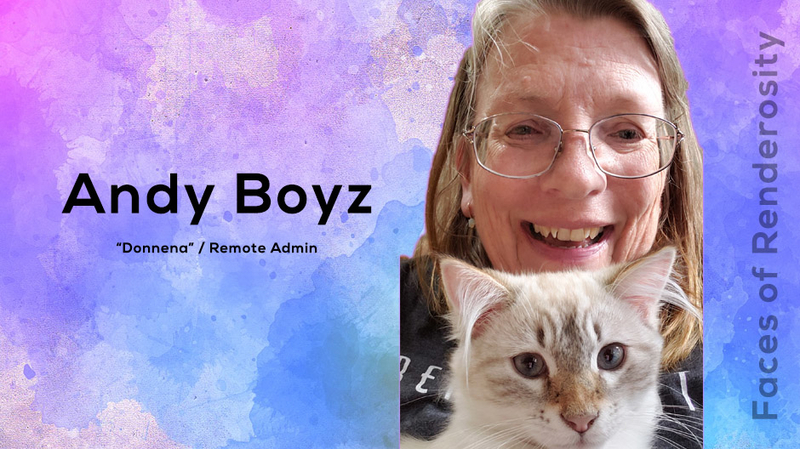 Our first staff member is the remote admin Andy Boys (Donnena at Renderosity). 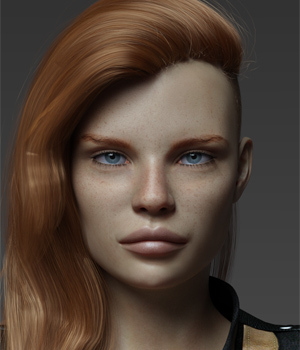 Andy works primarily as a software tester, but she also loves to create digital art using Poser and Photoshop. Her gallery is awesome. After you read the interview with Andy be sure to watch our video gallery which features 10 works from her Renderosity gallery. Renderosity: Tell us about your background a bit. 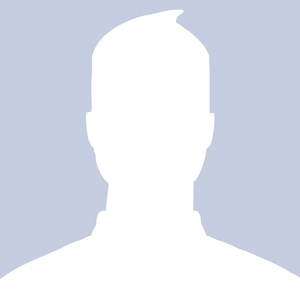 Andy: I am a certified software tester from a black box agile environment. I’ve been testing software since 2007 and for Renderosity since 2014. Unfortunately, Poser and DS toys aren’t tested the same way other software is, so my prior experience wasn’t necessarily helpful! The mindset that says… “I can break this!” is! Basically, I get to play with other peoples toys, Break them, demand they fix them and break them again! The majority of our vendors know their jobs and send us things we can’t break… but we keep trying! Prosaically, I live in Kansas, have 1 husband, 3 kids, 8 grandkids, and more cats than a retired librarian. I play Pokémon Go. How did you happen to get a job with Renderosity? Andy: A friend told Jenn I was a good tester and that Jenn should hire me. I am, she did. But I was otherwise unemployed so I pestered Jenn for more and more work. She was happy to oblige! Can you describe what exactly you do at Renderosity? Andy: Before today I tested a lot of the items that appear in the store, to ensure they meet our minimum quality standards. As of today, I’m not testing much anymore, having reached a significant birthday. Now I’m semi-retired to spend more time with my beloved husband and children. I will continue to vet the test queue to be sure that each product is set up correctly… The fields are correctly filled out to make the item search less bad. I look at every image and enforce the TOS as fairly as possible. When a customer writes us to say, this item doesn’t work, I figure out what the issue is and either get it fixed or help the buyer correct whatever problem is preventing him from successfully using his purchase. I don’t remember when I first came to Renderosity! I started with Poser 3 and with Vikki 3… and there were a good 15 to 20 brokerages at the time. And an incredible number of high quality freebies (for the period). But DAZ released DAZ|Studio and told us they would no longer support V4 or Poser. Since DAZ no longer wanted my patronage, I moved my Poser Toy Acquisition Habit to Renderosity and never looked back. Photoshop and Poser are my favorite toys, and blissfully, they play well together! Are you self-taught or did you train to become a digital artist? Andy: I am mostly self taught, using the time honored method of “Trial and Swear”! I started with Photoshop 5 and the tutorials on the internet and eventually moved beyond the “Close without saving” stage to the “Looky Here!! This isn’t totally embarrassing!” phase. Being less than hopeless in Photoshop helped overcome the monetary obstacles of Vikki’s then pathetic wardrobe. Now the dear girl has more clothing by various individual authors each than I have in total in my closet. She cheats by not gaining weight, too!!! I love fantasy art. Michael Whelan is a perennial favorite! I will troll Pinterest and find an image to try to reproduce in Poser. Since most of the imagery is painted or hand drawn, and my personal style is more photo-realistic, no one will accuse me of forgery!! Frequently the inspiration encounters a limitation in Poser or my own skills, and the “reproduction” takes an unexpected turn into a whole nother direction. Most of my inspiration comes from comments folks make in response to my images! Well, jeeze... Kansas huh? We're practically neighbors! And more proof that great minds think alike - I LOVE Michael Whelan's work. Very inspiring... Poser & Photoshop are on the top of my go-to list as well. Great to see this article about you, Andy! Keep up the great work! Thank you for all you do, Andy. Renderosity is my favorite site on the web and it's due to people like you. It's so nice to see you there! And..Stormy? And I love your pixel stories! I have days when I kind of miss Posette and the Dude and how easy they were to move around and render! My sis, my beloved angel, Queen of the Kittens and with Saintly skills to suffer all my messes and mistakes. You do everything with a gorgeous smile and your patience and professionality are as impressive as your wonderful sense of humor. I adore you Andy, I never tell you this enough.